We, at Inchoo, already have a few Magento 1 projects running fine on development servers with PHP 7. It’s alive, we say! So, how hard is it to patch Magento 1 to work on PHP 7? Very easy. Just install the Inchoo_PHP7 extension, and enjoy! This beautiful, readable piece of regex, ran against community and local folders will find a class of problematic code, which no longer works in PHP 7. If none found, your project is (probably) PHP 7 ready! Hooray! Values in all tables are milliseconds to first byte. Cache, when turned on, was default core M CE cache. All other items in software stack (MySQL, Apache) were same. Thanks to Marin Grizelj for crunching the numbers, which speak for themselves. Speedup was 2-3 times just from switching to PHP 7. And, we were comparing it with PHP 5.6, while many projects in the wild are still on 5.5 or even 5.4. (Mind you, compatibility fixes you need to do on older Magento 1 versions to make it work with 5.6, will also bring you a good deal closer to compatibility with 7.0). Enough technobabble. It is alive and lively! Let it run into the wild, and scare the village folk! big “thank you” for sharing your work! what can we do, if the test script returns an error? 2: Inchoo_PHP7 module is enabled. 3: Inchoo_PHP7 version is: 1.1.0, Magento core version is: Community 1.9.2.2 - Ok.
4: Magento Connect Packager is overriden. 5: Magento File Uploader is overriden. 6: Magento Session Resource is overriden. 7: Core helper rewrite PROBLEM! 8: Core layout model is rewritten. 9: Core import entity product model is rewritten. 10: Core export entity product configurable model is rewritten. 11: Core export entity product grouped model is rewritten. 12: Core export entity product simple model is rewritten. 13: Core export entity customer model is rewritten. i have just update magento 1.9.2.4 with PHP 7. I also install your module as well. As of now i have facing one issue regarding suucess , error , notification message which display after any action perform in admin. So any idea how i can solve this. i think something wrong with session on PHP7 because its work with PHP5.6. How do you feel about the stability of the develop branch on GitHub, and your work towards supporting the deprecation of mcrypt? Is PHP 7.2 still on your radar with the recent removal of all PHP7.1 packages in Ubuntu 18LTS? I did install on a store with M1 1.9.3.6. I just upload folder app and overwrite. I did not know how to run test file in folder shell. Then I switch from PHP 5.6 to PHP 7.1 from DirectAdmin. After that, viewing products on frontend and admin panel run Ok till now. I expected I will got some troubles like most of people here. I should conduct more test on other functions then. Hi, guys, thanks for this – we’ve added the module and ran the shell script which passed. I’ve successfully applied this php 7 patch to Magento 1.9.3.2. But when I tried to update the Magento to the newest version 1.9.3.6 (via the magento connect manager), the update process complains: “CONNECT ERROR: Package community/Mage_All_Latest 1.9.3.6: requires PHP version >= 5.2.0 and <= 6.0.0 current is: 7.0.21" and then the magento installation was completely corrupted (files being already deleted). Is this known to you? What is your suggestion to handle this correctly? Is it enough to switch my php version back to 5 during update? I am trying to install it in my 1.9.1.1 based store,faced some issue-when I try to click add to cart it is saying-“Cannot add the item to shopping cart” and product not added in cart.Also when trying place a new order from admin on behalf of customer it is saying this error-“Decoding failed: Syntax error”.Can you please provide me the compatible file for 1.9.1.1? Lowest Magento core suported is 1.9.2. There have been sucessful instalations on lower version Magento cores, but they need extra work to be done besides installing extension. We are getting error “Fatal error: Class ‘Inchoo_PHP7_Helper_Data’ not found in /home/musicle1/public_html/app/Mage.php on line 547”. How can I fix this? Quite weird… Try clearing the cache. Check that extension is properly installed. Run inchoo_php7_test.php from shell and see what it reports. Thanks for the reply Ivan. I have tried to test it using /shell/inchoo_php7_test.php. But I still get the same exact error. Does inchoo_php7_test report any errors? No. Not sure if shell/inchoo_php7_test.php even ran at all. Well, if it ran, it had to output a bunch of text. Did it? 8: Core layout model rewrite PROBLEM! Everything else in the test seems to be ok.
Well, if core layout is not rewritten properly, you can expect all kind of problems. That should be fixed. i have magento website with version php5.5 but now i have upgraded the version php7 so my checkout plugin discount code not applied to cart and garnd total. I have used your code for many shops now. I have never had any problems with it. So thnx. Just wanted to inform you about PHP 7.1.0. 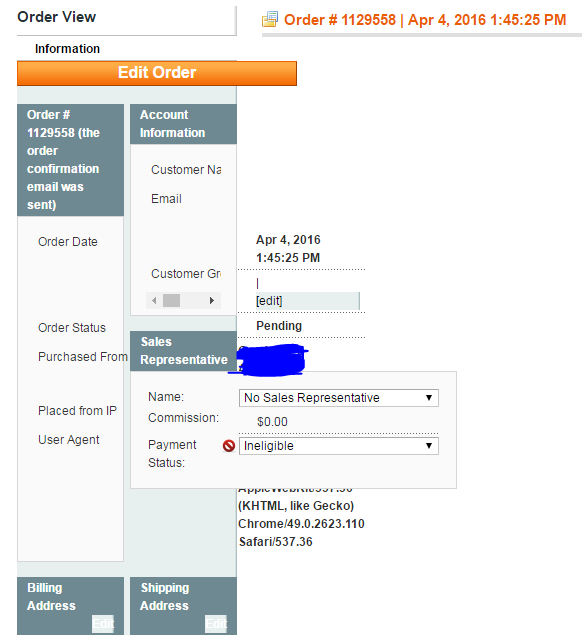 I see this error in the Magento 1.9.3.1 admin. The extension doesn’t support PHP 7.1 yet, and porting is relatively low on priority list, since 7.1 does not provide any significant performance benefits compared to 7.0. Thanks for reporting this, but we haven’t really tested with any core below 1.9.2. Where I can find your extension for Magento 1.9.2.2? Where I can download your extension for magento 1.9.2 ? https://github.com/Inchoo/Inchoo_PHP7/releases – download the 1.0.6 release. Are you using the 2.0.0 release of this extension? (It’s meant for Magento 1.9.3). another thing is I notice there’s a whole bunch of deprecated functions such as eregi and dl in lib esp. related to PEAR, would this matter ? That class is also fixed. Are you using the EE branch on Inchoo_PHP7? Incompatibilities in some Pear libraries are not fixed because they seem to not being used at all in Magento. Sweet! Works Perfect! Thanks for the hard work guys! This actually fixed the problem, but now I cannot use the default .htaccess file anymore, as it seems that the files are not getting rewritten. Do you perhaps have any ideas? First off, thanks for the work, but unfortunately it doesn’t work for me and gives error 500. I can’t believe it took me so long to discover this post! I followed your steps to get php7 and magento working properly and had no issues until i hit the backend of my site. I then found this http://i.stack.imgur.com/FyzB6.png in the sales order view page. It seems like the sales/order/view/form.phtml is never getting rendered into the page since the upgrade. Im assuming it’s an issue with layouts not getting called properly but I dont see any error’s to debug. Since upgrading to php7 has anyone else seen this issue? I have fixed this issue if anyone else runs into the similar problem. We had issues with isset and calling $this->getMethod(), for some reason error logging got turned of on the environment and i found the issue when it was back on. I have the sam Problem what have you done? Have anyone tried PHP7 with the Ultimo theme on the latest Magento 1.9.2.4? How am I supposed to run the regex code above to test for compatibility issues? from magento 1.9.2.2, uploaded Seven to the server, then change to PHP 7.0 and my side goes blank. No errors, just nothing on the screen. Any thoughts? What is the issue? thanks!! any idea why a 500 internal server error might be happening when switching to php 7 on magento 1.9.2.4? I have the same problem as Alex Niculescu. After upgrading to php 7, I can’t login to Backend and the cart is empty after adding a product! Can be something related to Varnish? Hey Loviux, you had mentioned about the Issue of Login and Empty Cart; would you please help explain how did you solve the issue? Of course the extension doesn’t change the core files. It overwrites or replaces the classes, so that code you are mentioning is never reached after the extension is installed. But grep doesn’t know about that. Hence, “No use searching for app/code/core incompatibilities, as they are already patched by our extension.” – and, I’ll add now – it will give you false positives. I have issue with Grand Total, It was not added Tax on Total amount. Tax class applied properly. Below example Subtotal is Excl with tax. Grand total need to be £84 but it show only £70. It’s difficult to say with so little information, but other users have reported this working properly. I’m also experiencing this issue, Tax is properly calculated but it’s not added to Grand Total. Just switching back to php 5.6 makes everything work as expected, even with the extension installed. Hi, this is fantastic work – thank you. Do you have any advise on how this could be changed to make it compatible with the current version of php (5.4) as well as php7 for when they upgrade? it should be compatible with both PHP 7.0 and 5.4. Thanks for this great post Ivan! I’m having problems with php 7.0 and Magento 1.9.2.2, when I have products in my cart and try to checkout, my cart gets empty. Do you have any ideas why that happens? You can see my staging website in the comment form. Cheers! I can confirm that this is 100% working for Magento CE. I already was making overwrites to make Magento compatible with PHP 7, but you beat me to it. I develop a fairly large module and PHP 7 works fine now in my development environment (PHP Storm + MAMP PRO). Debugging is a blaze compared to PHP 5. I am new to use magento. I have server with PHP 7.Now, Magento 1.9.2 ready to install. Please provide the exact location where the contents of “Inchoo_PHP7-master.zip” are to be placed. Contents are to be placed in root site folder (folder structure being maintained in zip). Though, if you have trouble with that, you may consider hiring a magento consultant to help you out setting up your store. What repository do you mean? Can you give the link to pull request? Ok here’s an incompatibility between PHP 5.x and PHP 7 with Magento (with no other changes), following on from what Danil said. Thanks for article. But I have a small point about PHP 7. There are less obvious problem than an error in the syntax which may be encountered. In particular, I was faced with incorrect sorting in the calculation of the discount. This strange behavior is due to a change in the work function uasort. I described it in detail on the SO, please see… Do not you have encountered a similar problem? And if so, how do you solve it? We have just merged a pull request that claims to fix the sorting problem. Danil, Darren, if you can try it from the master branch, please report if it fixes your problems. It appears to work on PHP 5.3.3, at least I was able to access the website, log in to the backend and upload images. Haven’t tested every fix but on the basis that the principal ought to be the same I feel confident that it is working. I don’t suppose there is any chance of you creating a Magento Connect module out of this? I don’t use modman myself, and would like to be able to be informed of updates, etc. Glad to hear it works on 5.3.3. I don’t know about Magento Connect yet, but we may try submitting the extension there. As a workaround for the time being, you can watch our GitHub repository to be informed of updates. Is this safe to use on pre-PHP 5.6.x installations? Currently using 5.3.3 (RPM) but looking to get the install ready for transition to PHP 7.0, so figured I’d install your extension now and have it in place ready for the move. It’s safe on 5.5+, and installing it before actually transitioning to 7.0 is a good idea. However, I’m not sure about 5.3. If you try it on 5.3, please let us know how it went. No use searching for app/code/core incompatibilities, as they are already patched by our extension.